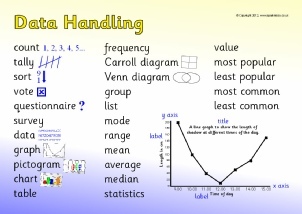 A colour banner for your ‘Data Handling’ maths display. A printable Microsoft Word template enabling you to add your own title and labels to a pictogram grid. 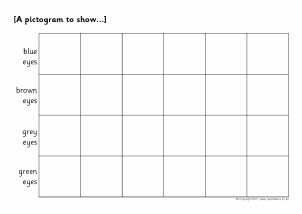 Ideal for use with our themed printable pictogram squares. 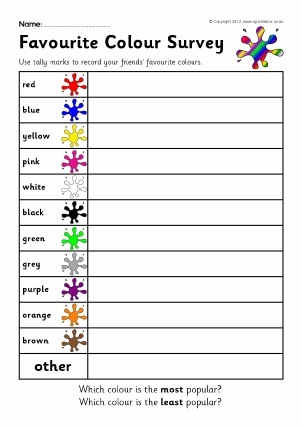 Printable worksheets for children to survey their friends’ favourite colours. A simple printable word mat featuring vocabulary linked to data handling. 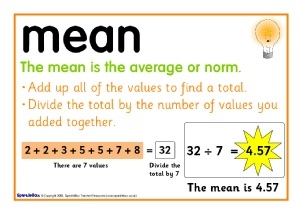 A set of simple A4 posters explaining mean, median, mode and range. 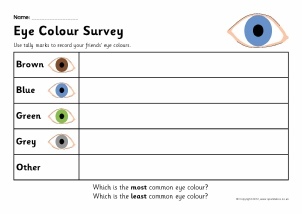 A printable worksheet for children to survey their friends’ eye colours.